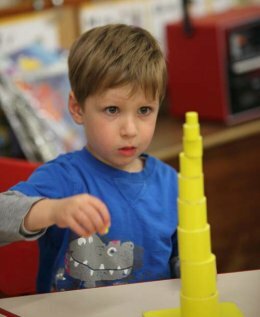 Through the use of the Montessori materials, your child will quickly become an independent learner and will therefore be able to develop at his own pace following his inborn motivation. 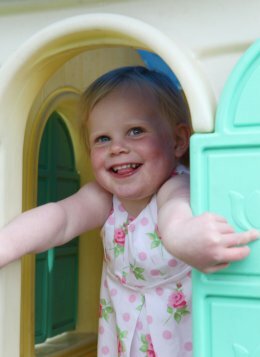 The huge scope and versatility of the materials provides equally for the child with special needs, the less able and the very able child. They are designed to encourage your child to explore, experiment and develop his creativity. Even the earliest activities start your child on his path to literacy and numeracy. The cultural and aesthetic subjects are also important, providing both breadth and depth to his learning. This is achieved through providing a secure, calm ordered environment with a happy family atmosphere where your child’s rights and individuality are respected. Learning is not imposed; rather your child is guided within a carefully structured environment rich with learning opportunities. Our Forest School gives your child opportunities to take risks such as tree climbing, den and shelter making and outdoor cooking within our carefully managed woodland area. The Montessori materials and the structure of the day, together with our Forest School provision, help your child to develop independence, confidence, self-control and respect for his environment and others. Multi-cultural issues are an important feature of the curriculum. Your child learns primarily by ‘doing’. The early materials in particular encourage your child to become dextrous, develop hand/eye coordination and concentration. Other activities refine gross motor skills such as PE, dance and our popular weekly visits to Forest School.